If you are in need of a new garage door, a repair or service on an existing door or perhaps you would like to automate your garage door or gates, you can be sure that PJ Garage Doors will do their best to assist you from start to finish. Our qualified installers have been with us for more than 6 years and are considered a valuable part of our business. Our staff are committed to providing you with the best possible customer service available. We believe that the best way to get new business is from the recommendations of our existing clients. Thank you very much for your kindness & thoughtfulness, shown to me during this stressful time caused by the power surge. It is good to have the garage door opening again. 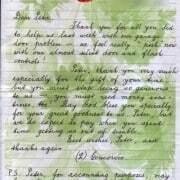 I am very grateful for your prompt & efficient service. 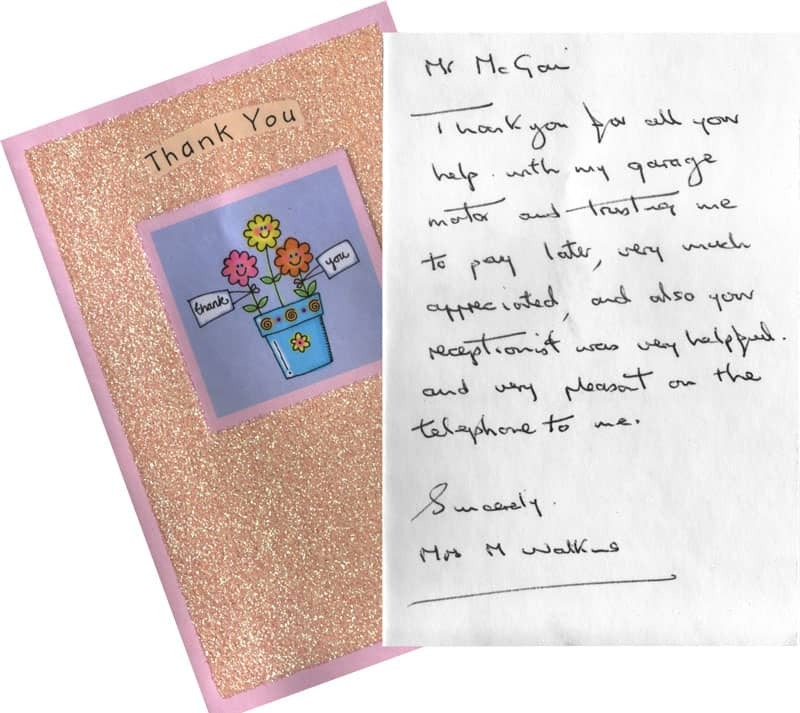 Thank you for all your help with my garage motor and trusting me to pay later, very much appreciated, an also your receptionist was very helpful and very pleasant on the phone to me. 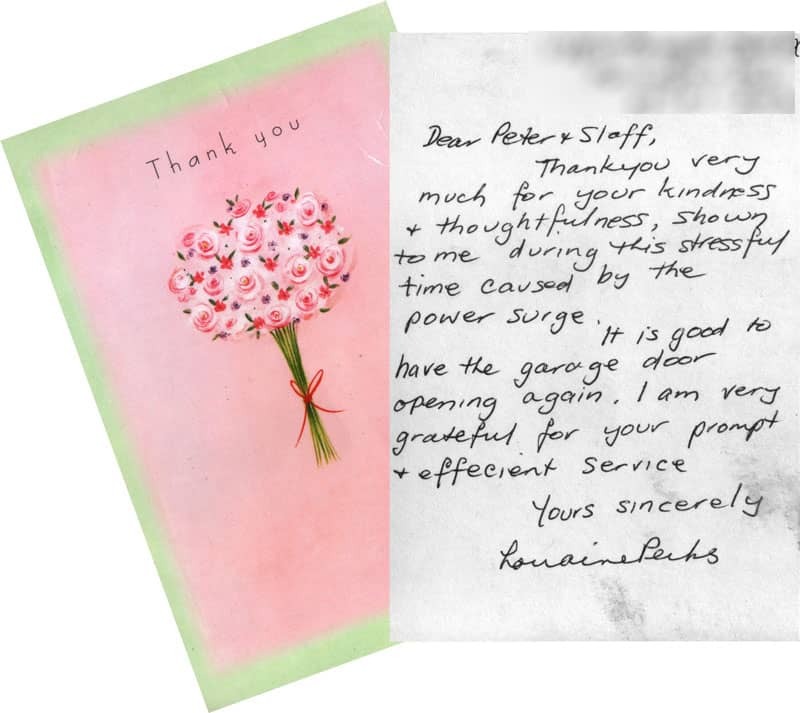 Thank-you for all you did to help us last week with our garage door problem – we feel really “posh” now with our almost silent door and flash controls! 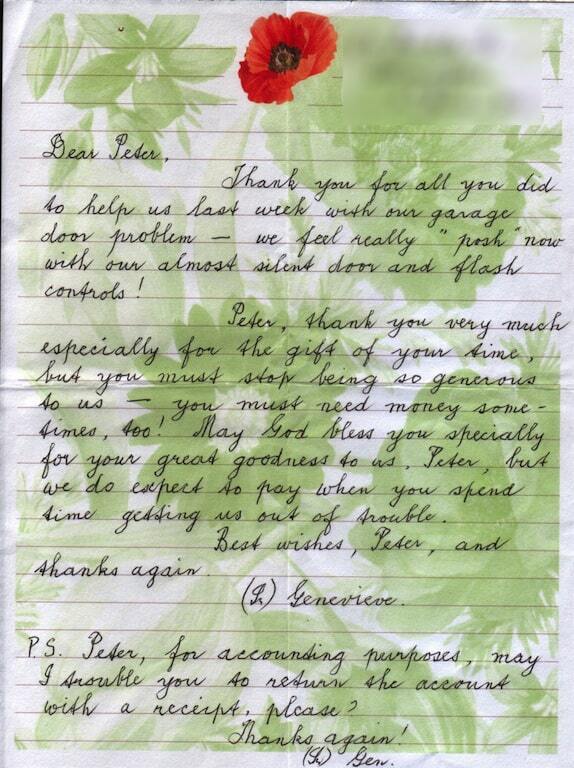 Peter, thank you very much especially for the gift of your time, but you must stop being so generous to us – you must need money sometimes too! May God bless you specially for your great goodness to us. Peter, but we do expect to pay when you spend time getting us out of trouble. Best wishes, Peter and thanks again. 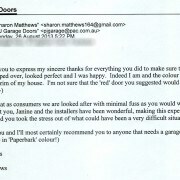 Just a few words of appreciation to PJ Garage Doors. I had the pleasure of meeting Peter McGain and I thank him for taking time to understand my problem with my garage door. What a gentleman he was. 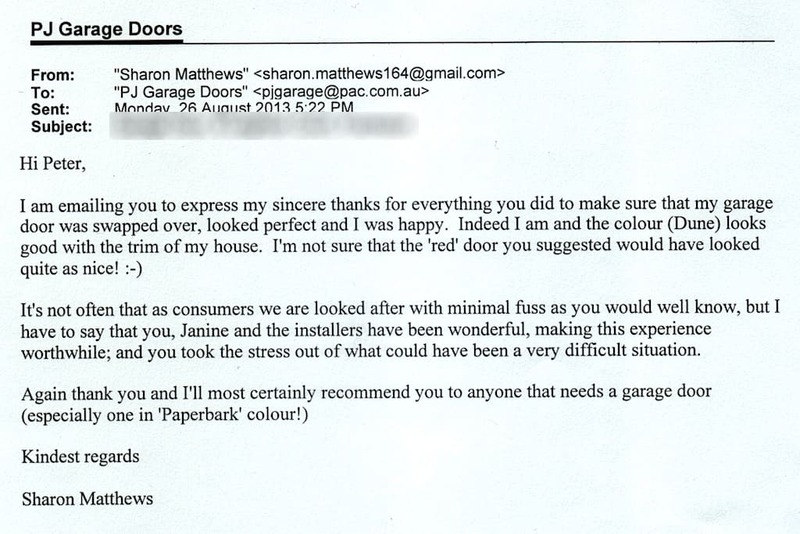 The office staff was most helpful and I would certainly recommend PJ Garage Doors. My personal thanks for your valuable time. Thanks for our new garage door. It looks fantastic! I appreciate the prompt, friendly and great customer service. Will recommend you to our friends. You might like to drop off a few business cards for me. We want to thank you sincerely for your follow through on work to our garage door. 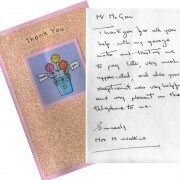 We really appreciate your integrity and also your generosity in supplying the globe and remote case free of charge. 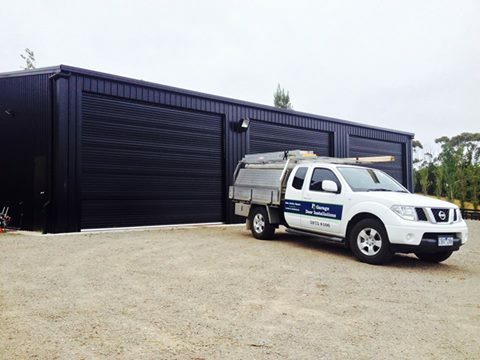 Just a quick note to thank you for the prompt service on installing the roller door to the garage at our unit in Mornington. Thank you for a great job. It certainly enhances the look of the unit. Thanks for taking the time over the phone yesterday. Adjusting the “down” screw a quarter turn fixed my problem.